The Social Theme Female Loneliness Pain Suffering. Abastration Male Violence Family. 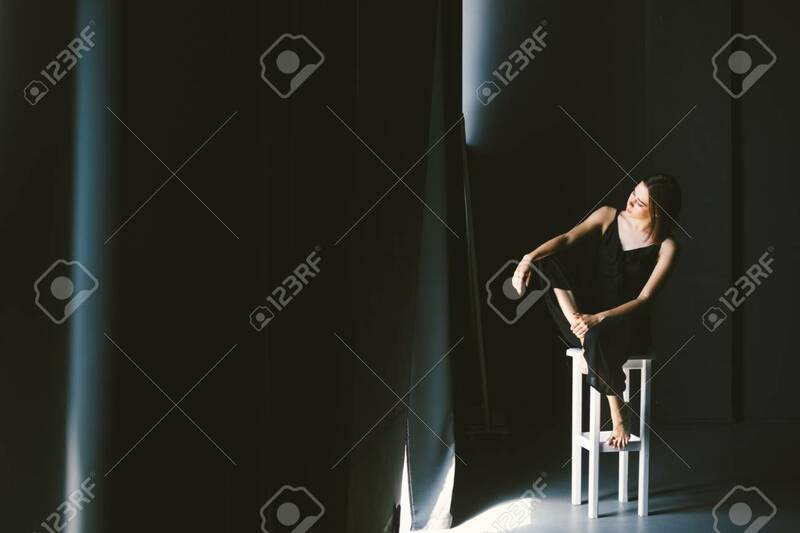 A Young Beautiful Caucasian Woman In Black Clothes Sitting On Three Chairs In Large Dark Room. Srach And Despair. Lizenzfreie Fotos, Bilder Und Stock Fotografie. Image 115334725.